When asked if Health Care was a privilege, a right, or a responsibility, Obama said in Tuesday night’s debate that health care was a right. A Right! The Bill of Rights that our nation demanded be included before we would ratify the Constitution was apparently one bill short. Unbelievable! Both Obama and McCain have tax plans that would make almost 45% of the American people have zero tax liability. I learned something in high school that I will never forget – if you don’t pay for it, you won’t respect it. More than one of my fellow students that had cars bought for them totaled their car. My class mates that paid for their own cars not only didn’t drive recklessly around town until the car was totaled, they took care of the car. I saw brand new cars smashed up while old clunkers were waxed and polished. How can we have almost half of all Americans paying nothing while the rest foot the bill? How is it that people defaulting in their home loans are being told – don’t worry about it, you will get to keep your house, the rest of us will pay for it. How is it that while 45% of us are paying nothing in income taxes, our leaders are declaring health care a right just as our freedom of speech, or our freedom of religion??? Our founding fathers would likely be bothered by both our choices for President for their economic policies among other things. I don’t know who will win on Nov 4th, but as I see it, it won’t be America. Lipstick or Egg on this politician’s face? I found this picture in a news article this morning on the Google News page. This is great for the McCain gang – but really bad for the Obama crowd. Apparently, Obama made a comment saying “You can put lipstick on a pig… its still a pig” regarding McCain’s position that the republican ticket is the best for change. The comment came a week after Governor Palin’s stated at the RNC that the difference between a hockey mom (which she is) and a pitbull is lipstick. Did Obama mean to imply Palin was a pig? The answer is Who cares… The damage is done! In the court of public opinion, its like OJ and murder – did he do it? You may convince me that there are people out there that don’t believe he did (in fact a Judge right now is trying to find 12 people to sit on a jury that don’t have an opinion on that old trial) but if you ask on the street that same question – some will say yes and some will say no – and both believe he did it. The same is true here. But that’s not the damage. The damage is the picture above. Shortly after this picture hit the internet, it quickly came down and dozens of similar pictures with Obama and McCain head to head began to show up (based on a page refresh of the google news page). Why? In my opinion its because there are a lot of Obama supporters out there that quickly realized that for Obama to win, he has to appear presidential, and pitting himself against the vp defeats that purpose. The next article I read this morning was Obama’s reaction to the “lipstick” media coverage, in which he called the controversy “phony” saying, “I love this country too much to let them take over another election with lies and phony outrage”. I remember once as a child I went into our pantry and grabbed a hand full of sugar cerial (which we rarely had in the house) and ate it in my room knowing I wasn’t allowed to. My brother caught me eating it and I quickly denied it. He wouldn’t let me get away with lying about it. I was so intent on denying the charge that I went to my mother outraged that he would accuse me of lying. I didn’t fool her for a second – I was busted! Obama’s outrage on the matter reminds me of my reaction after getting caught – phony outrage. So, I find it ironic that he uses those words to describe the media coverage and McCain reaction to the comment. To accuse McCain of lies and phony outrage while demanding that we get back to the “issues” is like a throwing a punch while demanding civility. I’m watching the Palin speech right now… WOW! This chick is rockin’. 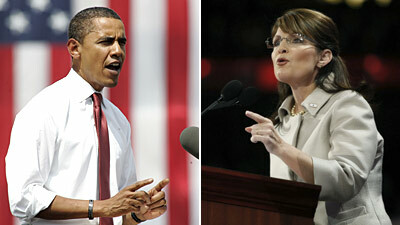 Palin hit Obama again and again with her wit, sharp tongue, and best of all – substance. 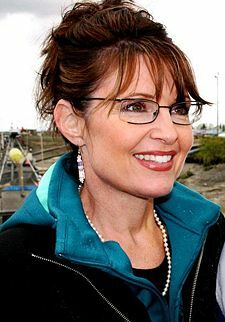 When I first heard of Sarah Palin – it was when McCain annouced her as his VP pick. My reaction was the same as most of you – Sarah who? The news media frenzy that ensued was staggering! I found out that she has a pregnant daughter out of wed lock! AND that her husband got a DUI twenty years ago! I learned about how she is accused of firing the Public Safety Commissioner because he wouldn’t fire her ex-brother-in-law. I was most concerned when I heard she was cited with “Fishing without a license“! Amazing! Well, if you can forgive her of the wanton disregard for the laws of fishing… you might find this was a great move by John McCain. Until last Friday, the media continued to tell us that we had the chance to make history with our vote in November. Obama was “the fullfillment of Martin Luther King’s I have a dream speech” according to the media and a vote for him was a historic vote. A vote for McCain was not only voting for another four years of old white guys running things – it was border-line racist. BUT… after the Palin Pick, it’s no longer a historic vote – its an historic election. Either way you vote, you are a part of history! Now, we can stop focusing on the color of skin, and start to focus on the actual canidates! Mrs Palin was charismatic, energetic, and enjoyable. Her ability to give a speech that kept the audience involved matched or surpased that of Obama, not to mention that she is easy on the eyes as we used to say back home in North Carolina. My favorite quote from the night – “Here’s a little news flash for all those reporters and commentators: I’m not going to Washington to seek their good opinion. I’m going to Washington to serve the people of this country“.